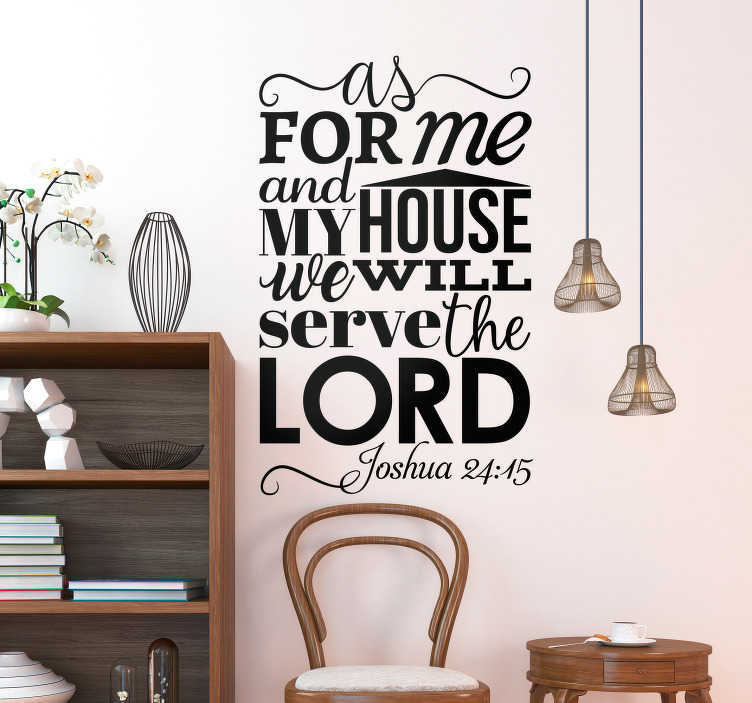 Religious wall decal with the phrase "as for me and my house, we will serve the Lord", a passage from Joshua 24:15 in the bible, from our collection of text wall stickers. This Christian wall sticker is perfect for showing your love of God and commitment to the Lord. Lovely text decal for decorating your living room, dining room or bedroom for creating a loving touch in your home. Easy to apply, available in various sizes and 50 different colours.